Wednesday greetings to you! It's Rhonda here today to host the blog. 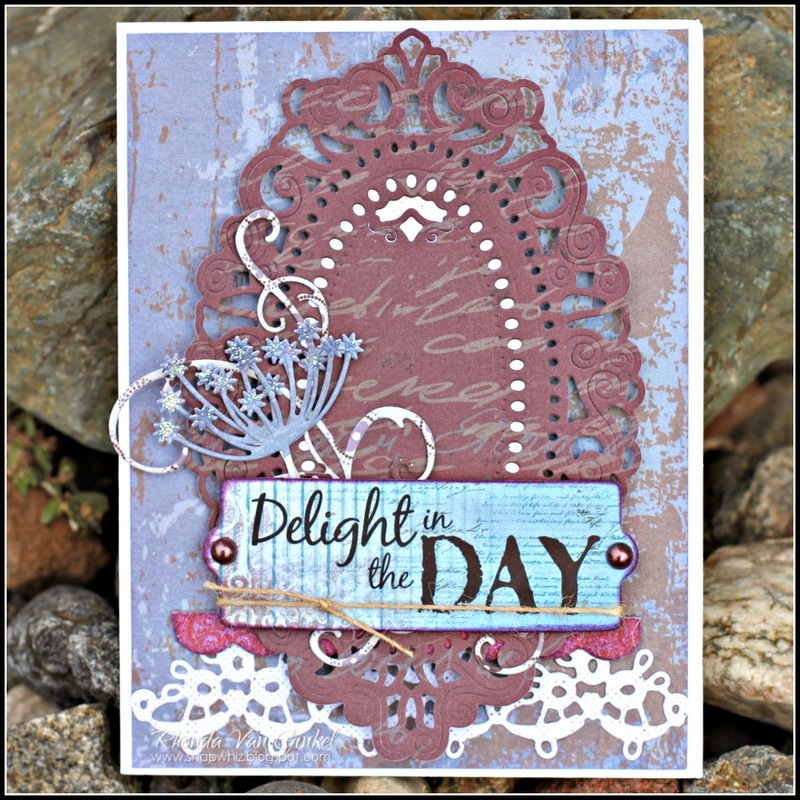 I have a card to share with you featuring one of our new collections named "Alton" and "Antique Garden" and also chipboard from the Stowaway and Baggage Claim collections. I inked the Baggage Claim scalloped chipboard border with some Brandywine PowderPuff Chalk Ink to coordinate with my card. 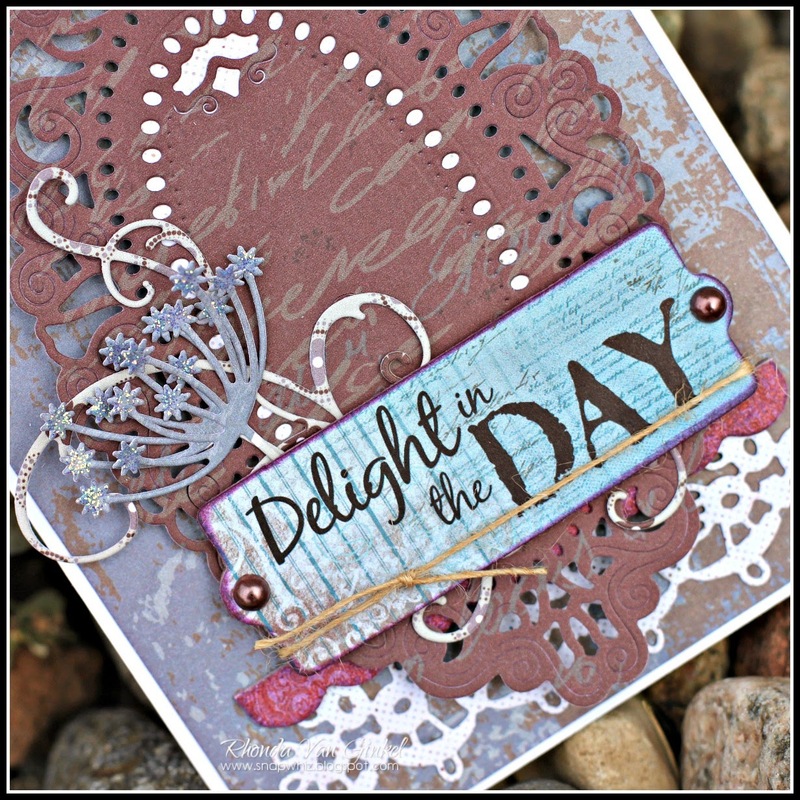 I also used it to ink the main chipboard sentiment from the Stowaway collection. I used foam dots to provide dimension and added a few pearls to the sentiment for an accent. A little twine helped finish my card.